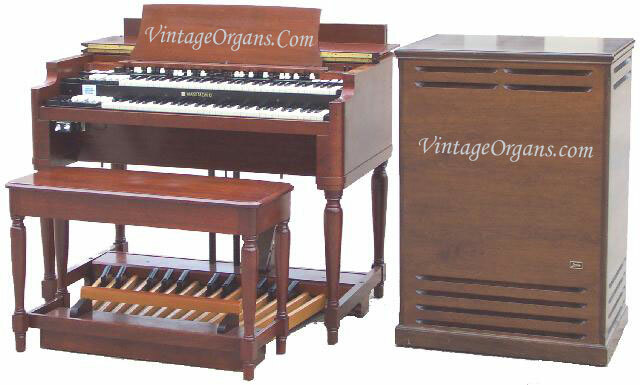 Wicks 2manual/Pedal 4rank Cabinet Organ Stop List Pedal 16’ Sub Bass 8’ Gedeckt 4’ Octave (Dia) 4’ Flute Great 16’ Bourdon 8’ Open Diapason 8’ Flute 8’ Salicional 8’ Dulicana 4’ Octave (Dia) 4’ Flute D’Amour Swell 16’ Bourdon 8’ Open Diapason 8’ Quintadena 8’ Stopped Flute 8’ Viola 8’Dulicana 4’Flute 4’ Violina 2-2/3 Nazard 8’ Oboe Tremolo Ranks 16’ Bourdon Flute thru 2-2/3 pitch 8’ Open Diapason thru 4’ pitch 8’ Salicional (Viola) thru 4’ Pitch 8’ Dulicana 2-61 note manuals 32note concave pedal AGO spec’s . 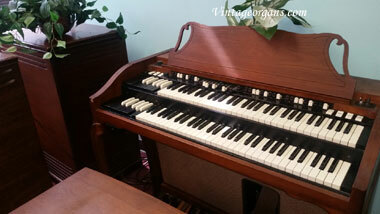 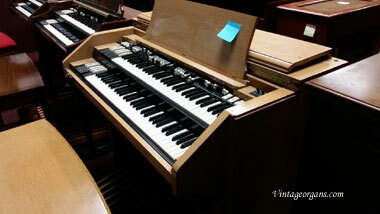 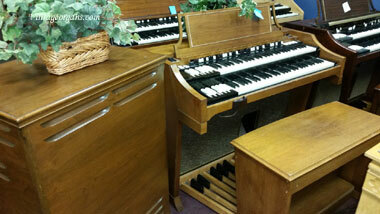 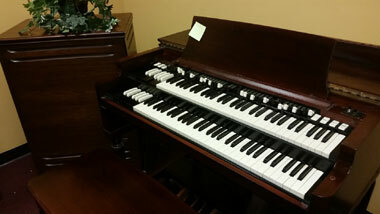 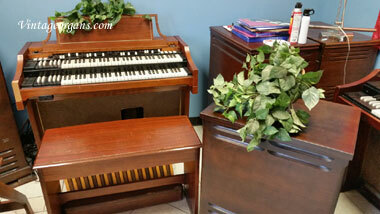 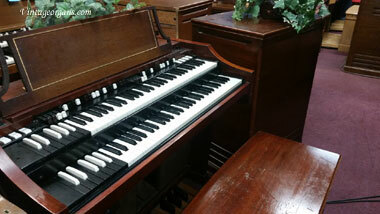 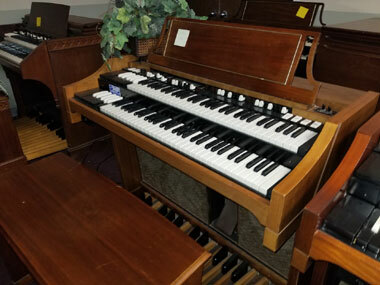 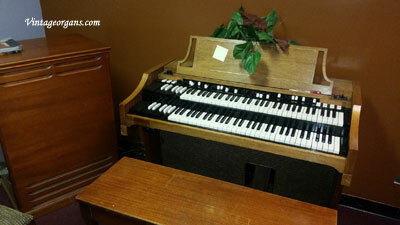 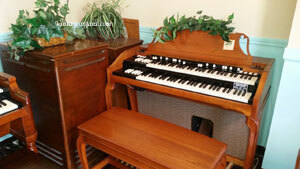 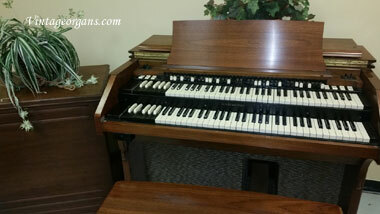 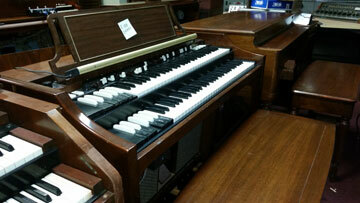 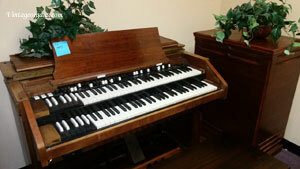 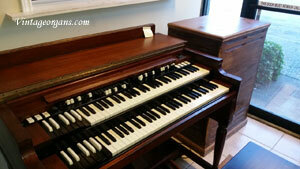 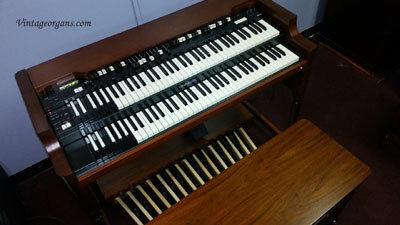 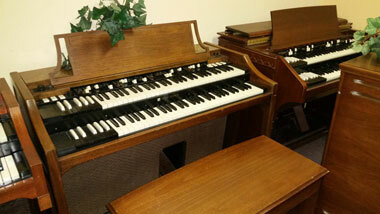 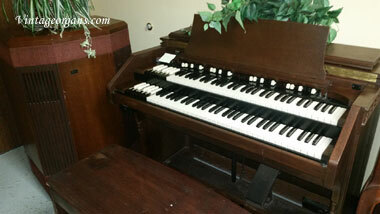 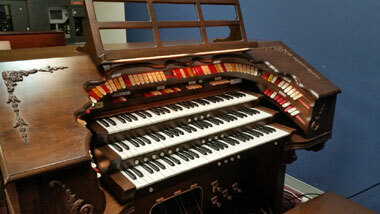 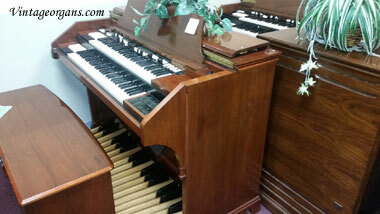 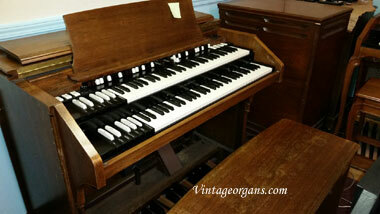 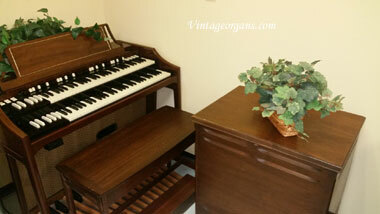 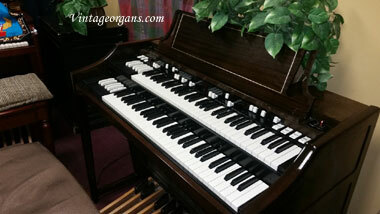 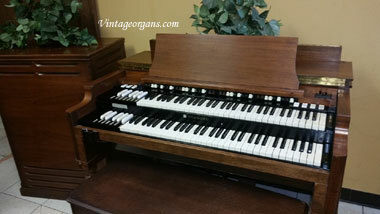 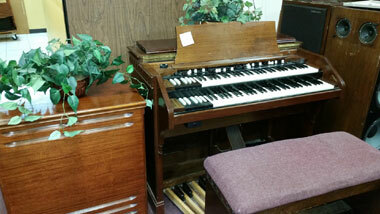 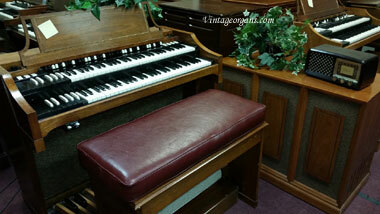 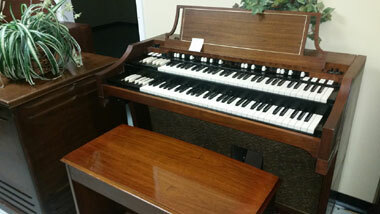 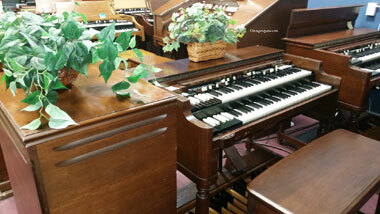 1-swell pedal and 1 crescendo pedal Organ was installed in St.Phillip Neri Church, Cleveland, Ohio and was playing when removed in 2008. 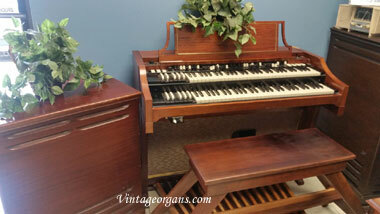 Organ Blower .8 HP 3400 RPM 110/220 single phase. 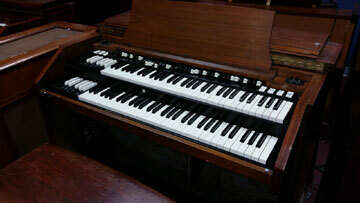 Organ was professionally removed and pipes have been stored in four pipe crates except the very largest 16’ Bourdon pipes. 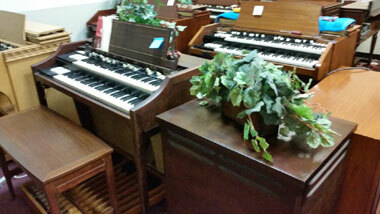 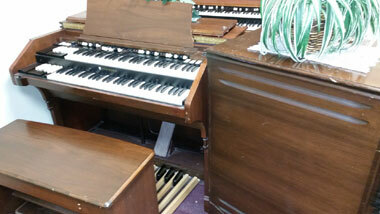 The organ has been stored in dry condition and is a bit dusty. 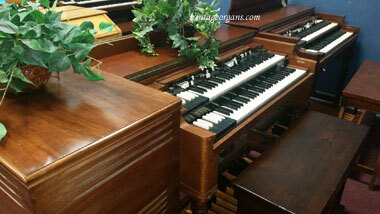 The pipe are all contained in the swell box that is 7’high and 7’wide. 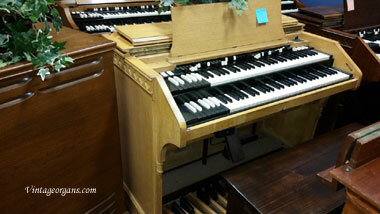 The organ will fit under an 8’ ceiling with room to spare. 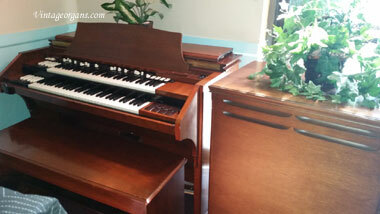 The organ is complete. 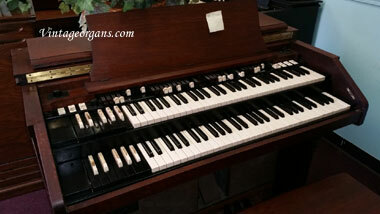 The only problem I see is the contacts for the pedal board needs some straightening. 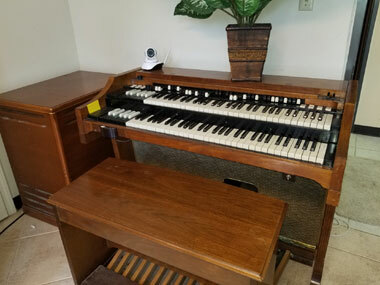 While disassembled like this would be the time to refinish the case and console and put new valve facings on the pipe chests. 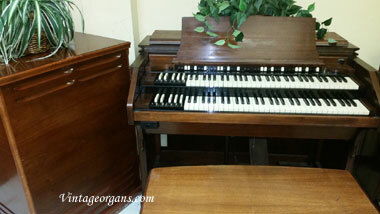 This is a wicks direct electric action so there are no pneumatic for the manual chests to recover.